The Marketplace is a social network that aims to connect non-governmental organizations and people that work in the fields of drugs and crime. 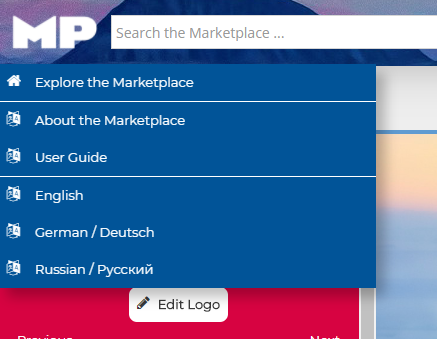 To adjust the Marketplace to your preferred language, simply select it from the drop-down menu in the top left corner. Each organization may create a profile on the Marketplace. On their profile they can describe what kind of services they provide or require, in what geographical regions they operate, and what UN declarations or UNGASS outcome chapters they support. Individual people, such as the various staff that work for an organization, may also create profiles on the Marketplace. An organization may also create accounts for their various staff members. Like on other social networks like Facebook or Twitter, organizations and people may post updates on their news feed. These updates may also include photos and attachments. The Marketplace includes a powerful search & matching engine that allows users to easily find organizations that provide or require particular services in particular geographical regions. In particular, once an organization has specified its service portfolio, it can easily find out which other organizations it may establish partnerships with.